Eudora Welty (1909-2001), one of the most acclaimed writers of the twentieth century, lived in this house for seventy six years. This house was built by Welty's parents, Christian and Chestina Welty. 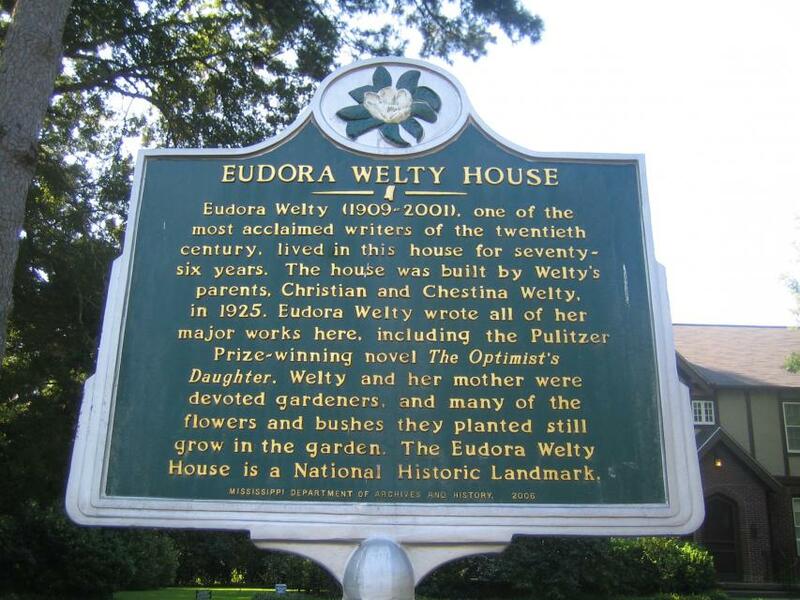 In 1925, Eudora Welty wrote all of her major works here, including the Pulitzer Prize winning novel The Optomist's Daughter. Welty and her mother were devoted gardeners, and many of the flowers and bushes they planted still grow in the garden, The Eudora Welty House is a National Historic Landmark. This marker can also be identified by its HM code. You can use the hashtag #HMXD7 in tweets, and any other place where you might refer to this marker, including when searching on this site.